App is the short form of application. It is a narrow software that fulfills specific functions directly for the user or for another application program. 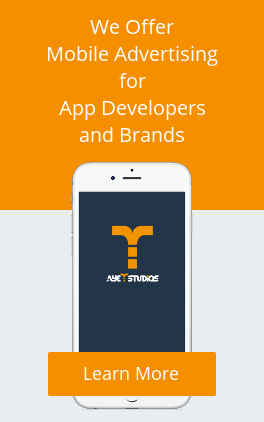 Although there can be different types of application software, the abbreviation “app” is nowadays mostly used for mobile applications. Mobile apps are specifically built for certain devices or operation systems and therefore very easy to operate. Because of this most mobile applications also have a very limited functionality. Over the last years, the market for mobile applications has grown dramatically. Therefore, millions of different applications are available for different devices and operating systems like iOS or Android. The biggest online trading platforms for mobile applications are Google Play, the Apple App Store and the Amazon App Store. In detail, there are over 2.7 million apps available in the Google Play Store in 2017, with over 50 billion app downloads by 2013. As of January 2017, the Apple App Store featured 2.2+ million apps and recorded over 100 billion downloads to date. Over recent years, the usage of mobile devices has eclipsed the usage of desktops, increasing the importance of mobile advertising significantly. In 2016, the amount of mobile ad spend was more than half of the total amount of global digital ad spend. This clearly shows the potential of the global mobile advertising market.